LEGEND Recordings are proud to announce the signing of Baltimore heavy metal band, ALUKAH. 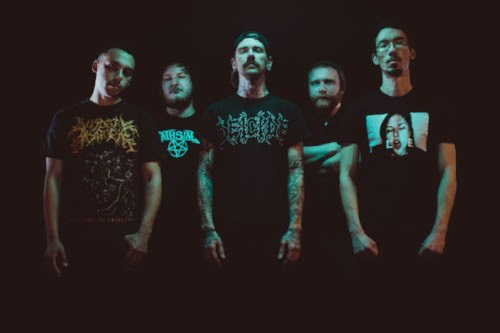 To celebrate their signing, the band premiered a brand new video for their first single, "Deprivation", via Metal Injection. The single comes from the upcoming album "Defining Torment," which is due out on July 13th. You can pre-order the album at - Hyperurl.co/ALUKAH. Watch it here - http://www.metalinjection.net/video/alukahs-music-video-for-deprivation-might-give-you-motion-sickness. Also check out the band at the following dates below.